PAUL ROBINSON, Graduate School of Public and International Affairs. Presented by CIPS and the Graduate School of Public and International Affairs (GSPIA). The war in Ukraine has involved the most intense combat seen in Europe since 1945. Thousands of people have been killed, and hundreds of armoured vehicles and other items of military equipment have been destroyed. Paul Robinson examines the composition of the warring armies, charts the course of the main events and battles, and analyzes the causes of the rebel victory in late August. 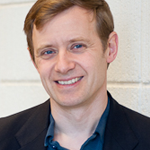 Paul Robinson holds an MA in Russian and Eastern European Studies from the University of Toronto and a D. Phil. in Modern History from the University of Oxford. Prior to his graduate studies, he served as a regular officer in the British Army Intelligence Corps from 1989 to 1994, and as a reserve officer in the Canadian Forces from 1994 to 1996. He also worked as a media research executive in Moscow in 1995. Having published six books, he has also written widely for the international press on political issues. His research focuses generally on military affairs. In recent years, he has worked on Russian history, military history, defence policy, and military ethics.